RightStart Therapy Service is seeking full and/or part time therapists at the Snellville Georgia clinic location. A therapy based computer program that provides therapists with peace of mind. All your paperwork/documentation is completed on this site to minimize the time spent on paperwork and to maximize your time spent with patients. This program is accessible anywhere Internet is available. Once your paperwork is complete the office staff can access it; no more writing, printing, or signing. 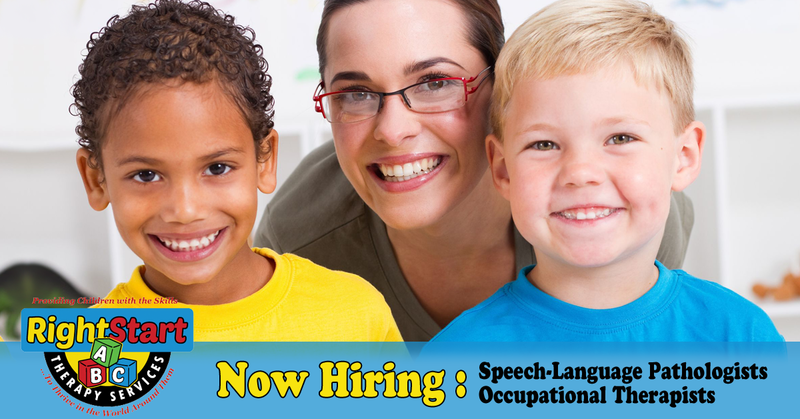 If you are interested in joining RightStart’s talented team of professional SLPs and OTs, please submit your resume, salary requirements with cover letter by email to rightstarttherapykids@gmail.com or submit by fax to 678-922-7124 or by the form on the right of the page. Copy and paste a text version of your resume below, or email a Word or PDF file to rightstarttherapykids@gmail.com .